A proposed eligibility change to the Supplemental Nutritional Assistance Program (SNAP), formerly known as food stamps, failed to advance from general file by one vote April 11. LB358, sponsored by Omaha Sen. John McCollister, would increase the SNAP gross income eligibility limit to 158 percent of the federal income poverty level (FPL) for fiscal year 2017-18 and to 185 percent for each fiscal thereafter. “Despite their hard work, some in our state struggle to put food on the table,” McCollister said. A Health and Human Services Committee amendment, adopted 25-12, removed the second gross income eligibility increase and instead would maintain it at 158 percent of FPL going forward. McCollister said 100 percent of SNAP benefits and 50 percent of the program’s administrative cost are paid by the federal government. As a result, he said, the state could mitigate the cliff effective for Nebraska families with very little impact to the general fund while accessing $5.6 million in federal funds. Columbus Sen. Paul Schumacher spoke in favor of the bill, saying that even without the committee amendment, the bill would cost the state less than $1 million annually in administrative costs. That amount pales in comparison to the cost of business incentives routinely granted by the state, he said. Bellevue Sen. Sue Crawford also supported the bill, saying that veterans are one group that would benefit from the change in FPL eligibility. Approximately 7,000 Nebraska veterans receive food stamps, she said, and more likely are food insecure. 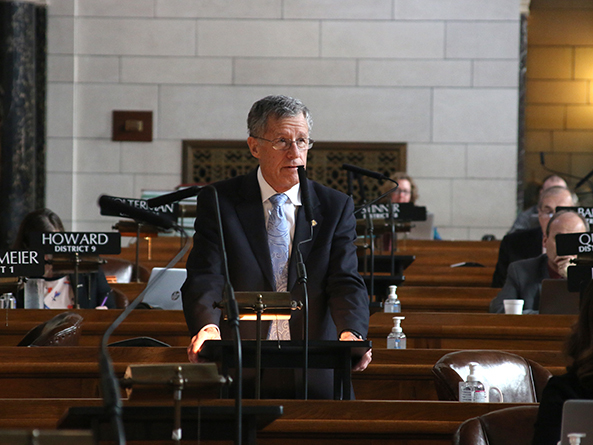 “The people this bill seeks to serve are hard-working Nebraskans who have food insecurity and, unfortunately, that includes some of our veterans,” Crawford said. 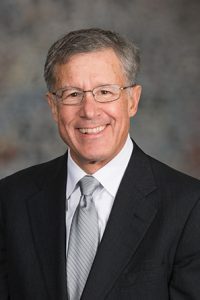 Ralston Sen. Merv Riepe opposed the bill, saying it would potentially expand the pool of potential SNAP eligible households by 36,800. Regardless of how many of those households ultimately are determined eligible, state workers would have to process all of the additional applications, he said. This would place stress on the ACCESSNebraska system, he said, which the state Department of Health and Human Services uses to determine public benefit eligibility. “If we do not continue to meet or exceed federal requirements [for timely application processing] the state risks potential penalties from the federal government,” Riepe said. LB358 failed to advance to select file on a vote of 24-19.